When Roger and Tamara Bell general contracted the construction of their home in 2000, they discovered “a mutual love of the construction process,” says Roger. “We decided at that time to work towards creating a home building company.” They founded Evermore Homes in 2005. Today, the company is a Certified Professional Home Builder, a member of the Saskatoon & Region Home Builders’ Association and an award nominee for the Rob Dumont Energy Management awards. We chatted with Roger to glean some industry insight and his tips for building at Sarilia. What trends are you seeing in the home building industry today? We’re finding that customers, in particular our younger customers, are caring more about lifestyle than about having the fanciest home. The refreshing evolution in our industry is that customers don’t want to be house poor and they’re focusing more on sensible designs and features that provide beautiful and functional homes, while maintaining their ability to afford and enjoy the most important things in life. You and Tamara built a beautiful home at Sarilia for Gwen and Ronn, Sarilia’s developers. How important was it to plan and design the house to take advantage of the river views? We met extensively with Gwen and Ronn during the planning stage of their build and facilitated on site meetings with them and their designer. It was an opportunity for all of us to evaluate site lines and important visual features. The result was a highly customized home that suited their river view lot very well. What kind of environmentally friendly features do you incorporate into the homes you build? 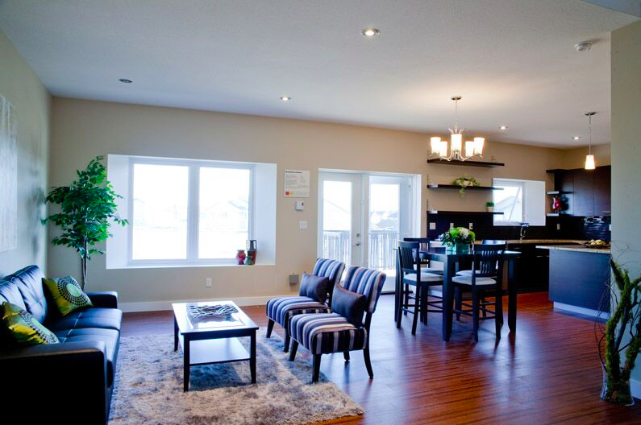 We are Saskatoon’s premiere Net Zero and Net Zero Ready home builder. We’ve got vast experience in green home building practices and products including features such as drain water heat recovery, solar power generation and building homes that manage air exchange, are properly insulated for both heat and cold, and use the natural environment to aid in their function. Although our passion is Net Zero, we do build conventional homes for our customers as well, but we’ve incorporated the same construction methods into all the homes we build, so even a conventional home built by Evermore Homes would perform better than others. Are there any home building practices you’d like to see more of? We’d like to see more site-specific design work done for homes in general. The orientation of the build site and the placement of the home on that site creates both opportunities and challenges for smart green construction. Your builder needs to understand this reality. We’ve got a track record of working with customers to optimize their design while managing build costs to achieve the right balance of upfront and operating costs. You can manage features like window glazing and the dimensions of your overhangs to take advantage of the heat the sun offers in cooler seasons and you want to be able to shelter yourself from the heat of the sun during the hot summers. What advice would you offer someone who is planning to build a home at Sarilia? First and foremost, I would say to choose a builder who understands the opportunities that Sarilia provides, because in terms of the atmosphere and the vibe out there, it’s something special, so you don’t just want to take a stock plan and drop it on that site—you want to spend time tailoring a design for the specific lot that you’re looking at. A custom home builder who understands that would be important, and I would say choose a builder who has experience building at Sarilia. 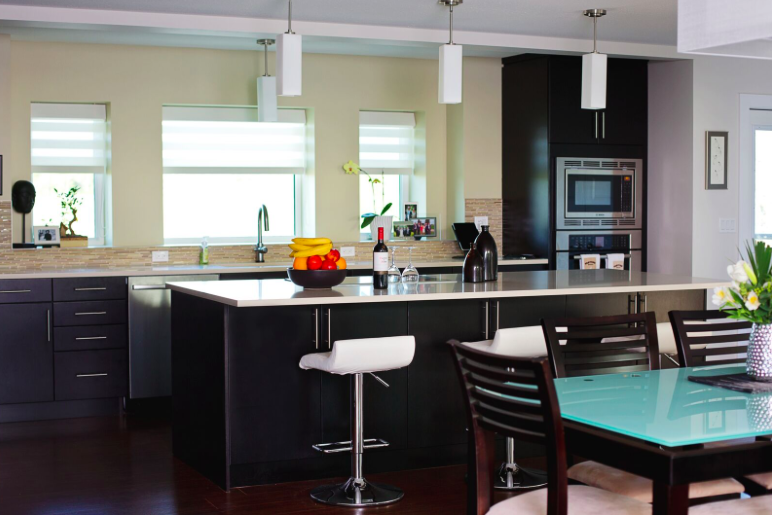 Second, in choosing a custom home builder, you’re able to take advantage of that Sarilia experience. I would choose a builder that specializes in custom homes versus market homes. There’s a distinction to be made there. Third, I’d spend as much time at the property as you can. Simply spending time at your desired Sarilia build site will prove to be inspirational. That’s certainly what we’ve found. It’s relaxing to be there and it allows you to unplug a little bit, slow down and really think about what you’re looking for. It’ll result in a more thoughtful design. It results in a better home that you’ll enjoy forever more.